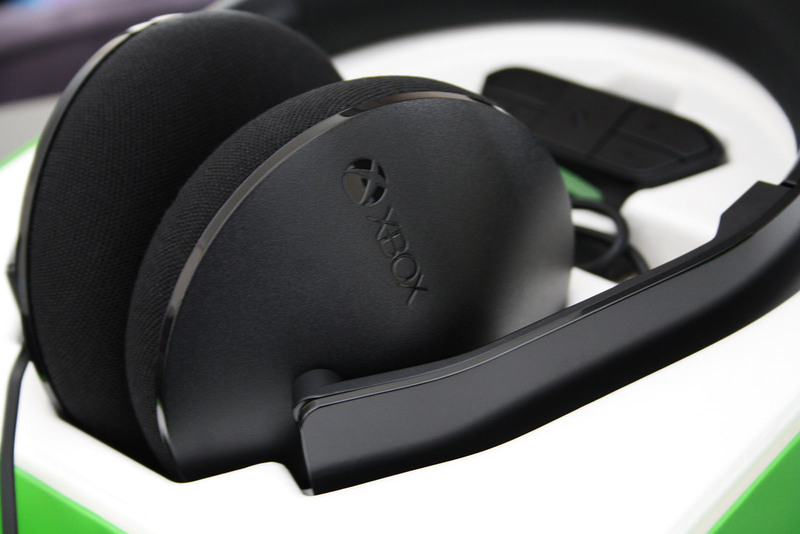 The Xbox One Stereo Headset was unveiled just over a month ago alongside the Media Remote. This headset is designed for the Xbox One but is compatible with PC and Mac. It features a comfortable, headband style frame with two large cups to engulf the user in sound. A mic is also located on the left side – which cannot be changed or moved – that slides down for use with multiplayer games or Skype. The Stereo Headset is very comfortable, which is essential for those late night gaming sessions. I’ve actually been using it on my PC to listen to music for the last 2 hours while I edited pictures and wrote up this post and there hasn’t been any irritation or discomfort. Ironically, the Dr. Dre Beats Pro that I previously had would cause discomfort after 45-60 minutes of continued use. The sound quality for music is satisfactory – given that they weren’t designed for this purpose. I played a round of Titanfall with them on, and there was good detail in the sound. The balance between game sound and voice chat can be adjusted via the control panel attached to the controller. Each controller must be updated before they can be used to their full potential. It will still function without the update but Microsoft has confirmed that it can become unresponsive without it. An adapter is also included (valued at $29.99) if you have a legacy headset you’d prefer to use. This adapter must be used even if you are to use the Stereo Headset as the cable attached is the standard 3.5mm connection. I was cautioned at the build quality of the headset, and upon a closer hands on look I found it to be what I’d expect for the cost. It can be a little flimsy if handled outside normal conditions but when operated as it’s intended there should be no concern. The headband features a soft padded lining, and the mic slides in and out with ease and stability. When being worn, the headset doesn’t press inwards too hard like the Dre Beats headset I had. For my personal use I need to have the adjustment sliders on the largest setting, and while I don’t consider myself having a larger head, it does raise a little attention for people who do. Overall – I’m happy with the purchase and will be using it regularly on the PC as well as nights on the Xbox One when sound needs to be kept to a minimum.